If your business relies on computers to operate, it is important to have them keep properly maintained to ensure they stay in excellent working order. If you’re like me, and most of the people in the UK, you may find it difficult to run a full, thorough diagnostic on your company’s computers. But, having a health check is vitally important to safeguard your PC or laptop. What Is a Computer Health Check? Upgrades – Once they’ve performed a thorough diagnostic, they’ll be able to tell whether your computer needs an upgrade to its system. Temporary Files – These files can take up a lot of storage space and cause your computer to slow down. They affect processing speeds, so they must be deleted regularly to ensure your device is performing effectively. Malware – Malware is short for malicious software, it is software designed to damage or disable your computer and its systems. If you don’t have effective anti-virus software, malware can penetrate your defences and cause serious damage to your computer. Some malware is also used to steal information, so it is important to have your system adequately protected. What Will a Computer Technician Do? Regular health checks are vital for several reasons to ensure your computer is performing at its peak. There are all kinds of problems that can slow down the processing power of your device, this can seriously affect your ability to do business. if you depend on your computer, you’ll want to have it running correctly at an efficient speed. A qualified computer technician will be able to identify any problems with your computers, if they require any new parts or software, they’ll be able to recommend the most suitable products for your device. Not all problems require expensive solutions, so it is vital to let a technician look. It is important to have your computer checked at least once a year to ensure everything is working effectively. As technology progresses your computer will encounter more issues such as more advanced malware, so to ensure you don’t have any problems you must have a qualified technician assess the device at regular intervals. 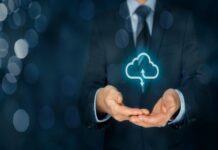 Previous articleWhat Are Your Cloud Service Needs?